Former North Carolina Gov. Pat McCrory has had a difficult time finding a new job since he lost to Democrat Roy Cooper. The reason? HB2, otherwise known as the bathroom bill, which required people use public restrooms and locker rooms that corresponded to their biological gender, rather than their gender identity. The bathroom bill caused widespread protests from companies pulling their business out of the state to entertainers who refused to perform in North Carolina. Now it seems it’s affecting McCrory even after he left the governorship. McCrory said critics of the law have sought to ruin his reputation and employers fear that hiring him would open them up to the type of backlash the state received over the bill. The law “has impacted me to this day, even after I left office. People are reluctant to hire me, because ‘oh my gosh, he’s a bigot’ — which is the last thing I am,” he said. In response to his interview, the state’s Democratic Party issued a statement chalking up his difficulty finding a job as yet another casualty of HB2. “North Carolina has already lost hundreds of millions of dollars in economic activity and thousands of jobs as a direct result of House Bill 2, but I guess we can start adding Gov. 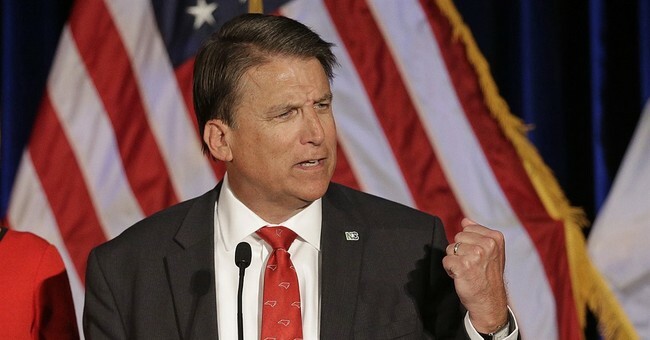 McCrory’s career to the total as well,” a spokesman said in a statement.